It’s not how fast you ride, it’s how well you ride fast. 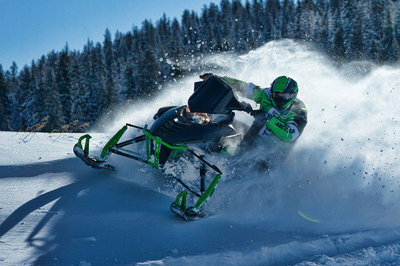 Born on the racetrack and built for the trails, these performance snowmobiles are built to take a blasting and keep on lasting. 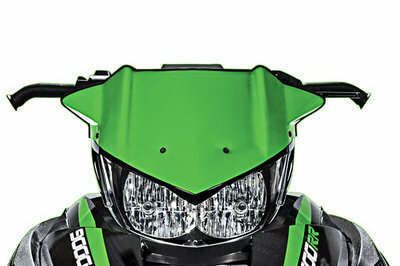 Continue reading for more information on the Arctic Cat ZR 8000 RR. 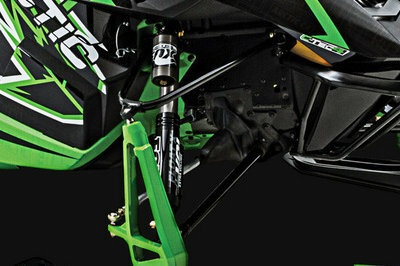 This suspension features FOX FLOAT® EVOL RC shocks, designed to cushion aggressive bumps and harsh ruts. To fine-tune shock action, simply turn the rebound adjuster. Slide-Action maintains a free-acting front arm while coupling under torque over bumps, and during aggressive cornering and acceleration. As the rear transfer blocks are engaged, the front arm follows the bumps, keeping your skis firmly planted as your 129-in. track propels you down the trail. Featuring a tapered 2-piece tunnel (narrow at the top, wider at the bottom) this design is the foundation of our performance sleds’ superb ergonomics. A forged steering housing ties together many of the load-bearing chassis components. The deluxe gauge lets you choose between digital and analog speed and tachometer readouts. There’s also an odometer, two trip meters, engine hour meter, reverse indicator and warning lights. 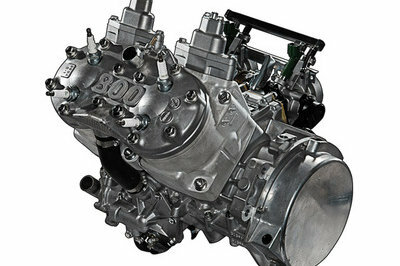 The amazing race-inspired graphics will intimidate all the other machines right out of the gate. 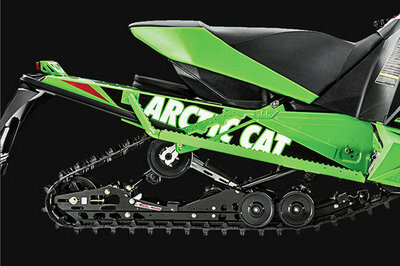 Big, bad and full of Arctic Cat® attitude, these graphics will definitely separate you from the pack. New for 2015, this vented side panel increases the airflow to the clutches to reduce drive belt temperatures for optimum performance. For added safety, the tether stop switch instantly shuts off the snowmobile if any separation of rider and snomobile occur. The push-button reverse is all about quick, easy activation. Just hit the button and backward you go. The Ripsaw™ II, featuring a 1.25-in lug, combines the best features of the Ripsaw, Cobra™ and Predator tracks, making it great for a wide variety of trail conditions. Compared with the original Ripsaw, there is less side bite through the corners.